All the windows can be placed in diagonal walls and all come in 4 frame stone textures and 3 wood pane: white, black and medium wood. This pediment comes in 4 frame stone textures matching the classic windows with pediment. It can be used with some doors of the game. You must use the cheat moveobjects on to place it over the doors. This object uses the Repository tecnique, and borrows its textures from the short window with peak pediment, wich means that you must place the window in your downloads folder too if you want to use this pediment or you won’t see it at all. If you delete in game some of the textures of this pediment, you will delete the original window too. 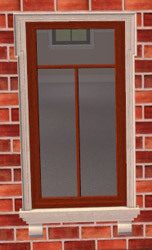 This object uses the Repository tecnique, and borrows its textures from the short window with round pediment, wich means that you must place the window in your downloads folder too if you want to use this pediment or you won’t see it at all. I’ve changed my policy about cloning or recoloring my Sims 2 objects. Read HERE for details. I am so glad to see your site back up. I was wondering when you were going to publish the gable accent for the roof-it is beautifull and reminds me of the old Persimmon Grove website. Your work is excellent and I have been a fan for quite some time. Ill upload the rest of sims 2 content soon, I hope. I can’t tell you how pleased I am to have found your site at last. I’m trying to collect together medieval type cc for the RKC and all sites of repute mention your stuff as must haves. 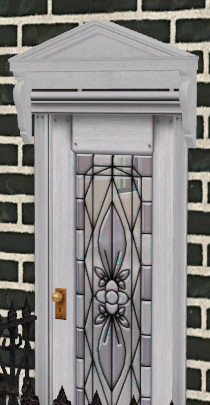 These windows are great, and the pediments for doors will come in handy too, thank you. Very nice new look on the page! I am looking for the stairs that matches the Victorian porch set. Do you think you will put that up for download sometime soon? Thank you so much for your brilliant work and whatever comes next! I’m glad to learn that you will have your site up again, because I adore your stuff! Actually I’ve used a post of yours in a lot I’m uploading, and I would like to make a link to it here, but the object is not up yet. Would it be allright to include it in my lot? Sorry if this is not the place to ask, but I can’t find where to contact you! I’m a creator at Annosims. I had not the time to add the rest of the sims 2 content. Yes, you may add the meshes and textures with your houses downloads. I only ask them to not be pay items. A while back I uploaded a default roof trim set (seen here: http://www.modthesims.info/download.php?t=327787 ) and I had one of your roof gables in the screenshots. I linked to your site because it’s a great little deco object and people were asking where they could find it. I see now that you’ve taken it down. Are you planning on putting it back up for downloads again sometime soon? I have people asking about it. Yes, I will update the rest of the sims 2 contents soon, if nothing goes wrong, before setember. So glad to see you back up! Look forward to the content being back up! Are donations needed? Also, it’s nice to see someone mention Persimmon Grove… I loved that site. Does anyone know what happened to the artist there? The best Sims 1 downloads were there, but the site is gone; I’m glad I have my backup CD. I moved this Sims site to another host that I use for another non sims related web content and it is faster that the old one. I’ve changed to wordpress because a cms is easier to maintain and add new content. I read a couple of months ago that Persimmon Grove is still online, but with another url. She will not update, and it is a shame because she made pretty good items for sims 1. I missed her creations for sims 2, and now for sims 3. 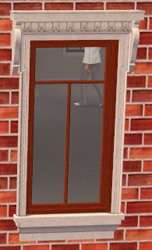 I think alot of people would absoulutely to see the classic window set in the sims 3! maybe a project idea? Great windows that I’ve had a lot of use of 🙂 I adore this type of architecture. 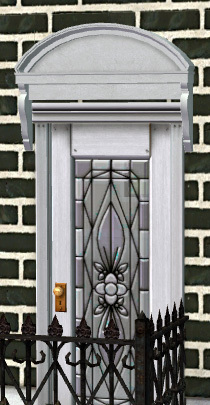 i know sims 2 is considered dead by many, but i was wondering if you would be willing to make the door pediments for 2-tile doors. otherwise would you it be OK if i cloned yours and tried to make them myself? Actually I’ve no time for Sims. If you want to clone it and made it for 2 tile doors, do it. I only ask you to not put it on any kind of pay or donation site, package … or similar. i don’t do paysites. long live the booty! i’ll also give you full credit. i’ve never made objects before (just dabbled in some clothing meshes) but i’ll see what i can come up with once MTS and the tutorials are back up. thank you! 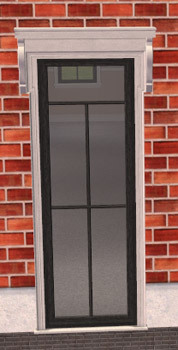 best window ever, i used it almost on every building i have, i could match modern or old town houses, hope you keeping up making these kind of window, thx alot! 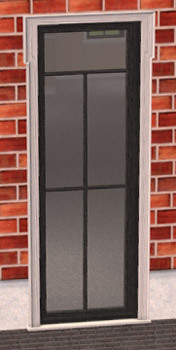 best window ever, i used it almost on every building i have, it could match modern or old town houses, hope you keeping up making these kind of window, thx alot! Yes, of course. I only ask to no add them to payed downloads. Enjoy!